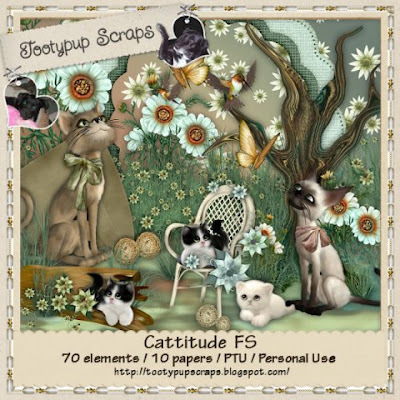 These Gorgeous Taggies are made by Patricia from Patricia Designs. So if your a Cat Lover This is the kit for you. Have fun and Happy Scrapping from The PUP.